Atlantic Salmon fly fishing is steeped in history and considered by many as the royal fish for any freshwater fly fishing angler. Unfortunately Atlantic Salmon numbers have declined over the years in the UK. However, in other countries around the world, where commercial fishing has been restricted, there is still amazing fishing to be experienced. The season for Atlantic Salmon tends to be short, so timing is very important and where our experience is invaluable. We ensure that all our customers only travel to our lodges in peak season. The Reisa River has a reputation for big Salmon that are caught annually here weighing around 20 kg. 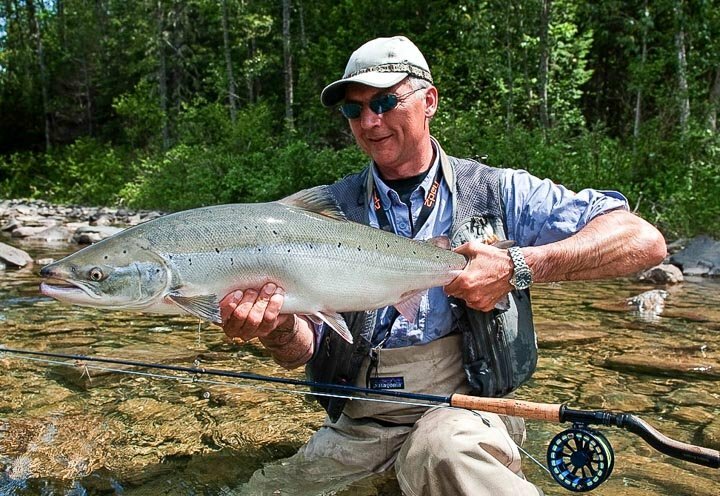 So if you are looking to set a record, the Reisa River may be the right place for you, just ask Scott Mackenzie who has caught his last 3 personal best Atlantic Salmon with us. A fly angler’s dream, for every cast into the Gaula’s clean, rushing water brings with it the possibility of a take from a 40LB plus Salmon. The Gaula River Salmon fishing is statistically the best Salmon river in Europe, famous not only for the numbers of Salmon it produces, but also for the high average size.